Extramadura a region of Western Spain whose capital city is Merida. Its component provinces are Caceres and Badajoz. It is bordered by Portugal to the west. YOUR NEXT VACATION VISIT TOLEDO IN EXTREMADURA. No City in Spain has played a greater role in the development of the Spanish nation than Toledo. Situated right in the very heart of the country, this heavily fortified city has seen the passing of the Holy Roman Empire, of the somewhat eccentric Goths, the Muslim Moors and the Christian Monarchs. In a real multicultural society lived Jews, Greeks, Muslims, Phoenicians and Christians. A complete rollercoaster of historical events has shaped this city into something spectacular. Even its position – built on a rock surrounded by the River Tajo (Tagus) – places it amongst one of the most visibly memorable cities in Spain. Still surrounded by the ancient city walls of yester year, it is easy to imagine the triumphant Alphonso VI riding side by side with El Cid as they entered the city in 1085 to replace the defeated Moors, El Greco, the famous Greek artist, also made Toledo his home – a home which can still be visited. In the city you can see the original of many of his paintings including his masterpiece depicting the heavenly intervention of Saints at the burial of the Count of Orgaz. (See if you can spot the self portrait of the artist himself amongst the crowd attending the burial). Narrow, cobbled streets unchanged for centuries lead the visitor from the buzzing centre of the town, Zocodover Square, to the massive Toledo cathedral towering above surrounding buildings. This cathedral, the very centre of the Spanish inquisition, became the most important and iconic centre of the Catholic resurgence in medieval Spain. Its sheer size and grandeur cannot fail to impress the visitor. Leaving Toledo via the ancient Biagra gates, a drive through the fields of Extremadura brings us to Trujillo, a town which until the heady days of the Spanish conquest of the Americas baked sleepily in the sun, its inhabitants struggling to survive in a hostile and difficult environment. The discovery of America offered the opportunity for adventurers to escape from this daily struggle and try their luck in these new terrritories. With ingenuity, determination and often of violent aggression against the inhabitants of the Americas many of the sons of this small town returned hugely wealthy. The evidence of this wealth, shows in the castles, churches and mansion built by them on their return to Spain. Walking in Trujillo Paseando por Trujillo – Extremadura – Espana. The above video is a walk through the medieval town of Trujillo, Caceres Province, in the community of Extremadura. Accommodation Hotels Apartments and Guest Houses in Trujillo Extramadura Spain. From Trujillo a half hour drive takes us to the city of Caceres – a different sort of town to Trujillo, but again, surprisingly for a landlocked town, much of its wealth was created by seafaring adventurers returning from the Americas with gold, spices and silks. The city of Caceres, a UNESCO World Heritage Site, overflows with medieval buildings, Arab towers and fortresses, Gothic churches and Renaissance architecture. Its Old Town is an impressive and dense, compact mix of all the before mentioned styles. 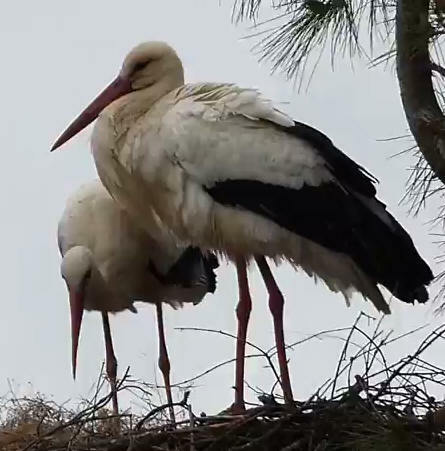 In spring storks are special visitors. Accommodation Hotels Apartments and Guest Houses in Caceres Extramadura Spain. Spain Info Extramadura San Francisco De Asis, Urb Marina, San Fulgencio, 03177, Alicante, Spain.